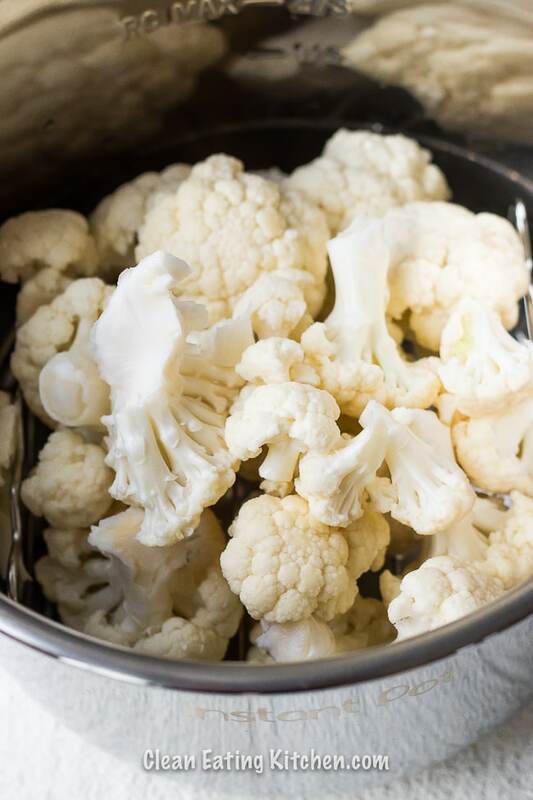 Here’s how to make Instant Pot Cauliflower Florets for an easy, healthy side dish. Serve the cooked cauliflower hot or freeze it for smoothies. Is it just me or has cauliflower started turning up in everything lately? I’m guilty for at least some part of that because I’ve created my own hidden cauliflower recipes in the past, including my chocolate cauliflower oatmeal, cauliflower grain-free dinner buns, vegan/gluten-free cauliflower pizza crust, and vanilla cauliflower smoothie. Now with everyone on a lower-carb, gluten-free, or grain-free diet, it’s even trendier to use cauliflower in unique ways. My recipe today isn’t super original, but it’s a super fast way to cook cauliflower florets for an easy, healthy side dish. Or, you can cook the florets and freeze them to use in a smoothie later. Either way, cooking cauliflower in the Instant Pot sure is easier than steaming them on the stovetop. 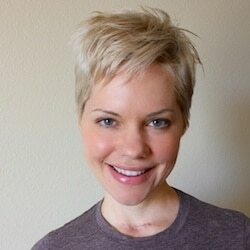 I started off with a large head of cauliflower that I got at the farmers’ market. I try to buy organic or pesticide-free since I’ve literally watched airplanes spray pesticides over cauliflower fields near my house. 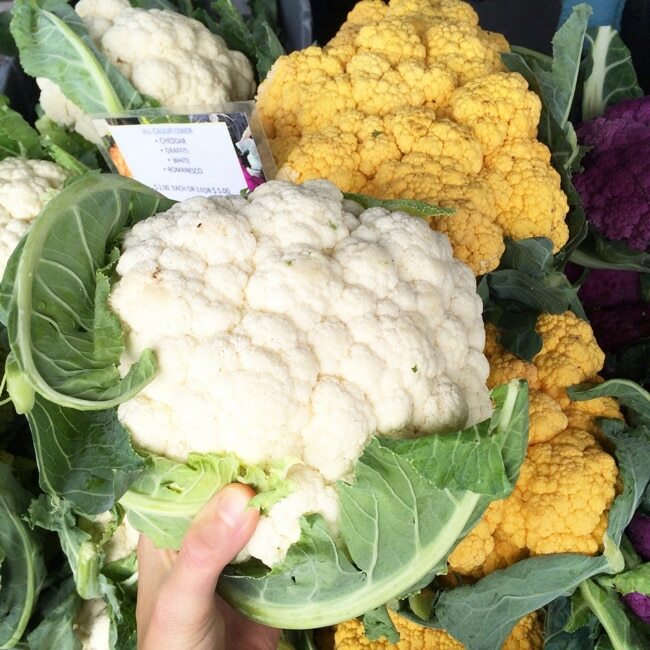 I like to use a sharp knife to cut the cauliflower head in half, and then use my hands to break up the florets. I like to rinse them before adding them to my Instant Pot (I have this one), along with one cup of water. I put them on the trivet that came with my Instant Pot to keep them out of the water on the bottom. Next, I lock on the lid and set the cooking time to one minute on high pressure. I recommend using the quick-release when the cooking time is up to make sure the cauliflower doesn’t get mushy. If you’re going to eat it right away, just use tongs to serve it up. Otherwise, I like to rinse the cauliflower with cold water (or transfer it to an ice water bath) to stop it from cooking. 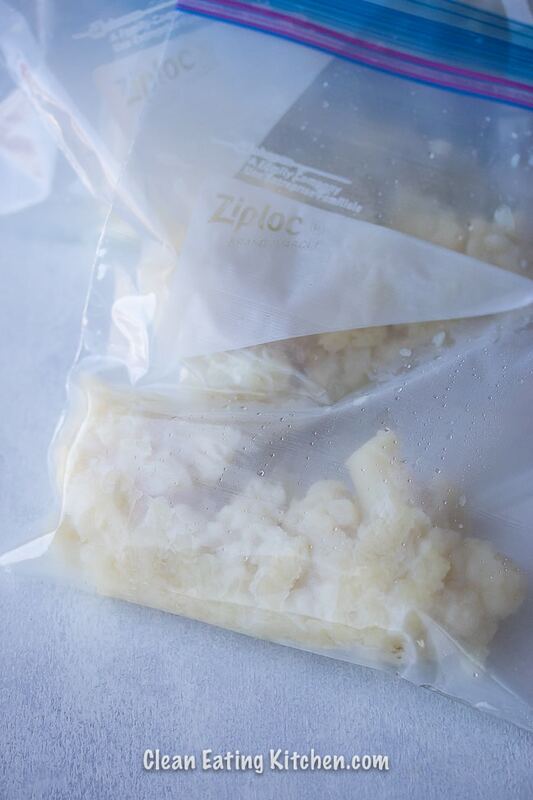 If you want to freeze the cooked florets, place them on a parchment-lined baking sheet and freeze for 2 hours before transferring them to a zip-top bag. They’ll keep in the freezer for up to 2 months. Place the water in a 6-quart or 8-quart Instant Pot. Place the trivet into the water and put the cauliflower florets on top of the trivet. Lock on the lid on the Instant Pot and set the time to 1 minute on high pressure. When the cooking time is complete, carefully quick-release the pressure. 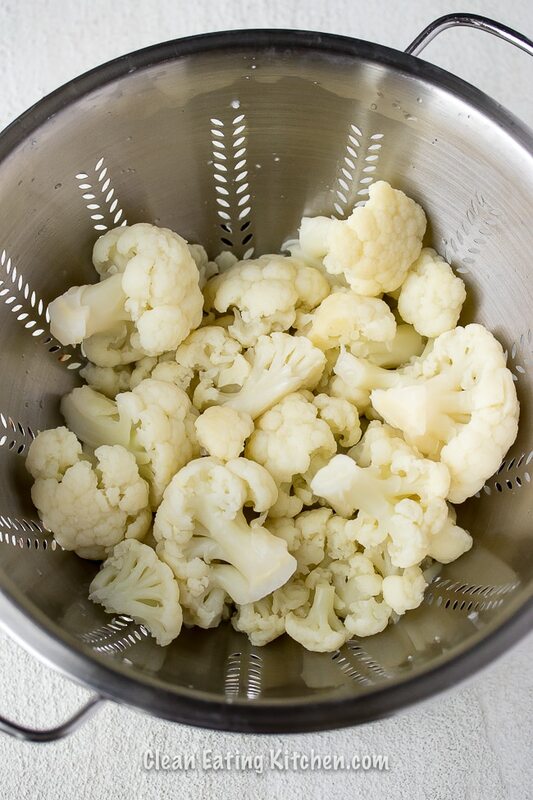 Serve the cauliflower hot, or transfer it to a ice water bath to prevent the cauliflower from over-cooking. Store in the refrigerator for up to 5 days, or freeze the cooked florets for up to 2 months in a tightly-sealed container. I love how much easier to make the florets in the Instant Pot than how I used to steam them on the stovetop. I love anything cauliflower! Yum!! I can’t wait to try it in my Instapot! Sounds like a great idea. I have been trying to substitute cauliflower for potatoes whenever I can and (for the most part) haven’t noticed much difference in taste. I just love how simple and easy this is!! What a money saver! Quick & easy! 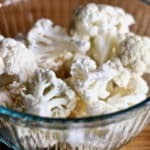 Would love to see how you use the cauliflower florets in different recipes. Thanks for sharing.